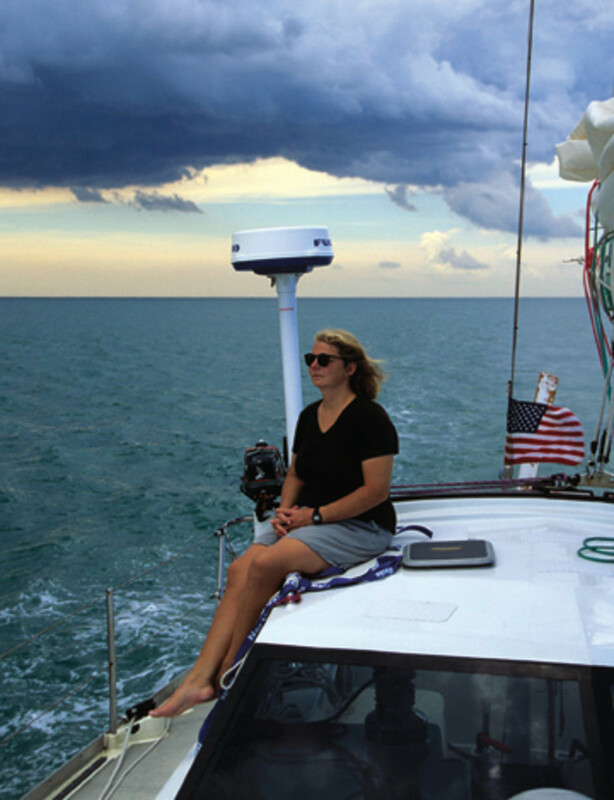 When the business world gets tough, the tough quit their jobs and sail around the world. 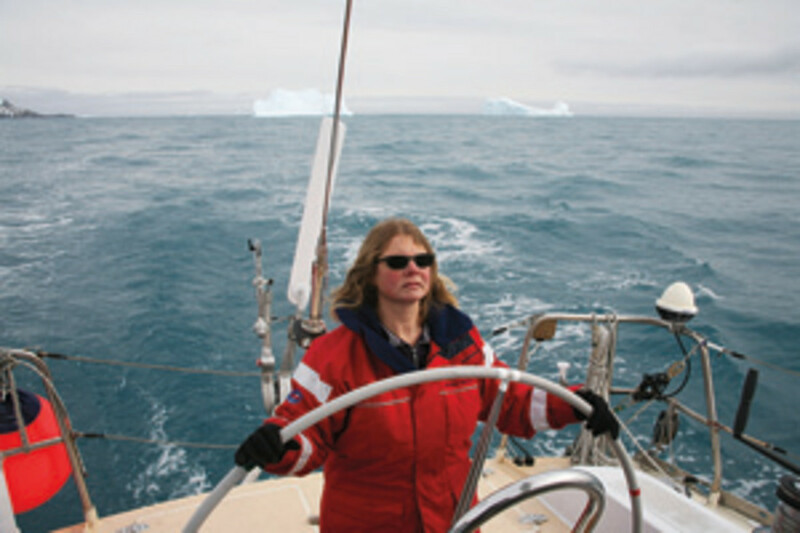 Or maybe that’s just Beth Leonard, BoatUS’s new technical services director and editor of its Seaworthy magazine, who says the perfect job is the one she now has. Leonard’s path to BoatUS was anything but dull. 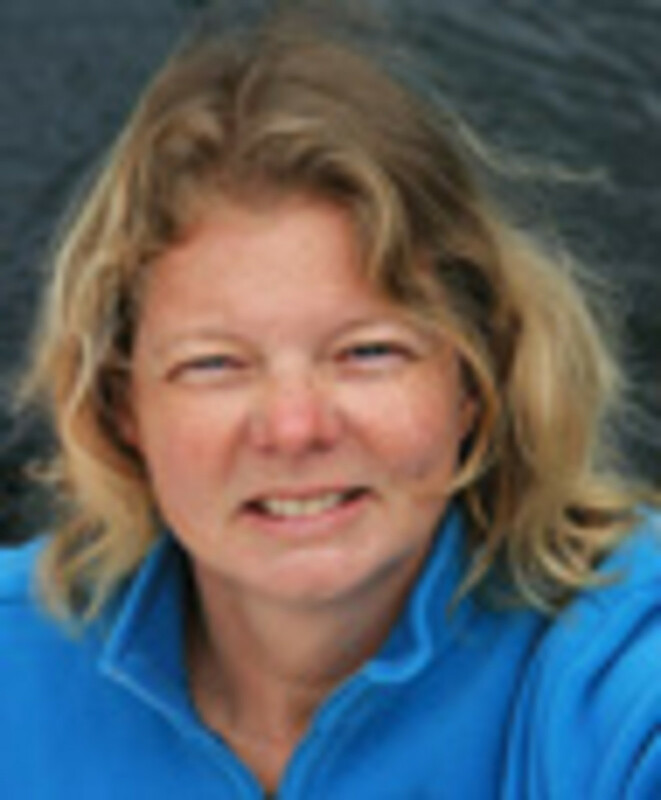 She grew up summering on Lake Ontario “basically getting on anything that would float and making it into a boat.” After obtaining a business degree, she went to Europe in 1988 during the ramp-up to the 1992 Common Market. They spent the next four years building a custom aluminum boat, and Leonard began writing to earn income for their next adventure. They left in 1999, this time spending a decade sailing around the world. Trade Only asked Leonard to talk about herself and her new role at BoatUS. Q: Can you tell us more about your consulting background and how it informs your job at BoatUS? A: I joined BoatUS a year ago July. In many ways it was a perfect fit. I have the writing background. I have the editing background. I have the boating background, and I also have the business background. I understand financial services and insurance and how all that works. We’re going through a huge transition here, where almost all of the senior management is stepping down — they all started in the 1970s. We’re having a big changing of the guard, which is scary for some people, but I see it as an opportunity to take the tremendous heart of this company and carry it forward. The company I worked for is called McKinsey. It’s an international management consulting company with offices all over the world. We worked with the Fortune 500 companies mostly, and at the CEO level. McKinsey billed itself as the confidant of the CEO, and my specialty was financial services, so I dealt a lot with banking and insurance issues. I did a lot of merger-and-acquisition work and a lot of post-merger integration work. [It’s] a company that’s wonderful to work for. It cares a lot for its employees, but also it’s in a really competitive environment now, one that it hasn’t had to deal with until recently. I feel like with my background and BoatUS’s culture we can figure out ways to keep what’s important about our culture … and still be competitive. One of my goals is not to give up that incredible culture, as other companies have done, to stay competitive. Q: I imagine that’s a departure from your past experiences. A: It is. That’s part of the reason we went sailing. The post-merger integration was very much about getting the costs out. I saw the devastation that caused to individuals, to the skill sets of companies and to the customers of the companies. It’s an incredibly destructive process, and in the end you can argue that it does provide customers with better products at lower costs, but there’s a huge human cost along the way. I think there are much smarter ways to manage things. With a little bit of lead time and thought and care and concern you can do things to reshape a company that doesn’t require that approach. Q: Can you point to some specific examples of things that give BoatUS its culture? A: Our members come first. They often say they can’t believe we’ve taken so much time to talk to them when they can’t get past the voicemail at so many other companies. We don’t do everything right, but we listen and we really care. Our catastrophe team is a great example. It’s an interesting relationship because our catastrophe teams are not employees of BoatUS. They’re independent surveyors who are working with us. I saw in the field, after Sandy, that their dedication to the team and to every one of our members is astonishing. People will come to us and say, ‘I can’t even get hold of my other insurance company. What do I do?’ And our catastrophe team members will take the time to explain to them what they need to do, even though they’re not even necessarily members. They all do a really good job of … keeping members informed, and dealing with the situation for them. During the middle of the catastrophe team response to Sandy, it snowed. Our catastrophe teams were always in warm climates like Florida. In about a 24-hour period, our marketing department put together care packages for every catastrophe response team member that included fleeces and cookies and a number of other things and sent them out to each member in the field to make sure they were warm. There’s no other company I’ve ever worked for that would’ve thought to do that. I think BoatUS is good at building partnerships across the industry. The marinas we visited while we were out were so grateful to BoatUS, in part because their cash flow at that point was almost dependent on getting something going from the salvage operation. Our CAT team members are authorized to cut checks right in the field to get checks overnighted to people so they have the cash flow they need to keep going. I think BoatUS really understands that in a way that a non-boat insurer really doesn’t. Q: Why is there so much competition these days from non-boat insurers? I know that often consumers are looking for the best deal until something happens, and then they want the best company. How does BoatUS approach that? A: That’s a really big issue right now. We have not had to market ourselves in a really direct way in the past. With more competition coming in, part of what we have to do is educate boaters about what it is they’re paying for and what it is they’re getting because if you look at the bottom line and only look at what it’s going to cost to insure your boat, that’s only a tiny bit of the story. The question is: What coverage are you really buying and what kind of a check will you actually get when something happens? Because we’re all boaters we wrote insurance policies to meet our members’ needs, not to maximize our profitability, with the belief that if we did that well we would end up making enough profit. And that’s been true until now. And now, in a more competitive environment, we have to work a lot harder to help people understand what it is we’re providing and how it differs from everybody else. Q: Why is there so much competition when it seems like there are so many disasters occurring? Why are so many companies moving into this space? A: First of all, competition is fierce across the board. When you look at auto or home insurers and think about insurance in general, your revenues are based on the value of what you’re insuring. If you look at the aging automobile base in this country and the drop in housing values, insurers across the board are struggling. On top of that, a lot of insurers made their money investing their reserves, and as you well know, investments have not done particularly well, especially the fixed-income investments a lot of companies put their money into. They’re no longer earning anything on those investments. So that’s driven fierce competition in the auto and homeowner realm. When those companies look at retaining their customers, a lot of them are looking at additional pieces of business to keep those customers loyal to them, not because they’re committed to boats or boating. They’re less concerned about the profitability of that business than they are in fencing off the customer so they don’t leave. So you have companies entering the business who are less concerned with profitability because their main line of profitability is coming from elsewhere. They’re entering the business not because they understand the industry and not because they’re looking to make a profit from the industry, but to build a wall around their existing customers. That, of course, creates big pressure for us. Especially for insurers like BoatUS, boats are what we do. We don’t do anything else, so we are committed to the industry and we insure boats no matter what. One of the things we’ve seen in business cycles of the past is that you get these periods where other insurers enter in large numbers. Then you have a disaster like Sandy and a lot of them exit in large numbers. When my husband and I were out sailing and we were in the Pacific we got a notice that our insurance company had been told they had to reduce their exposure to the boating market — this was right after Hurricane Andrew — and they canceled us in the middle of the Pacific with no warning in the middle of the policy period. That’s something that BoatUS would never do, but that other companies will do because it’s not their primary line of business. When we see the other insurers coming in, their policies aren’t geared toward the kinds of disasters that happen with boats and what boaters need specifically. They don’t have things like the catastrophe team. Our first catastrophe team was 30 years ago with Hurricane Alicia in Houston. We had a big debrief in June where we brought in the CAT team members and sat in a big conference room to discuss, OK, what went right, what went wrong and what can we do better next time? I can almost guarantee that the multiline insurers wouldn’t have had that discussion after Sandy. Q: What are some of your plans and goals moving forward? What are some challenges? How do you plan to go about staying competitive while maintaining the integrity of the company? A: There’s a whole senior management team working on this. My department can act as bridge between the industry and consumers. There’s a big role to be played in terms of educating consumers, but also communicating between the consumers and the industry. We’re sort of an early-warning system in a way in my department because I have Seaworthy, which means I have access to the claims files. In seeing those claims coming in, I see things coming down the line. Bob [her predecessor, Bob Adriance] was very good at picking out the pieces people hadn’t quite put together yet. One example of an issue he got out very early on was ethanol. When he started seeing damage to engines in the Northeast and started having a bunch of claims he realized something was going on, and it turned out to be ethanol. He was very helpful in communicating the facts around ethanol so people could do the right thing to address the situation. We can be a bit of an early-warning system through the claims files, the consumer protection department, which gets calls from members when they start seeing problems in their boats. When we start seeing trends there we can highlight them and go back to manufacturers to help them identify and understand them. We also have our whole surveyor network and we interview them about what they’re seeing when they survey boats. When they’re seeing issues come up on boats they’re talking among themselves. We have all this information coming in that we can turn around and feed back to the industry. At the same time, we can help the industry communicate things back to boaters, like maintenance issues that people aren’t doing well, or needs to be changed because circumstances have changed, like in the case of ethanol. We can communicate that back to boaters in a way that’s very powerful, not just through our memberships, but also through organizations like the U.S. Power Squadrons or U.S. Coast Guard Auxiliary and our cooperating marinas. The reach we have gives us a huge advantage in linking boaters with the industry. One of the biggest challenges in general right now is getting people involved in boating and maintaining the health of the industry. That’s one that we’ve all got to get involved with. Q: What are some trends you’re seeing right now? A: We’re working on lithium ion batteries because they are the future and they offer huge weight savings advantages over traditional batteries, but there also some safety challenges. Right now there are a lot of do-it-yourself approaches to lithium ion batteries by boat owners who don’t understand some of the risks, so we see a big role in educating boaters on those and working with the industry and the American Boat and Yacht Council on that. It’s too early in the cycle for the ABYC to create a standard, but we’re having a constant discussion with them about how that might look in the long run. Another area is electric shock drowning. I think the industry’s done an excellent job in trying to educate marinas about that. But our role there is educating the boater because a lot of the discussion in the industry is to marinas. That was a big initiative for us this summer that we got a tremendous response on. I’d like to think that in another four or five years we might not have any more electric shock deaths, but it’s going to take an effort on everybody’s part. Part of that message is: Don’t swim within 100 yards of any electrified dock, whether it’s a marina or a private dock. It’s an unhappy message. You know, I grew up swimming on Lake Ontario. We never thought twice about jumping off the dock, but back then if the boat had any sort of electricity at all, it was a battery running a 12-volt radio. Even if a dock is certified as being OK, a new boat coming in that has a fault can create a problem. So it’s a moving target, unfortunately, which is why I wanted to write an article about it. It takes three things: An electrical fault either on the boat or on the dock, but usually it’s on the boat; it takes a ground safety problem either on the boat or on the dock, but usually on the dock; and it takes the fact that there’s no over-current protection to shut the system down if something goes wrong. 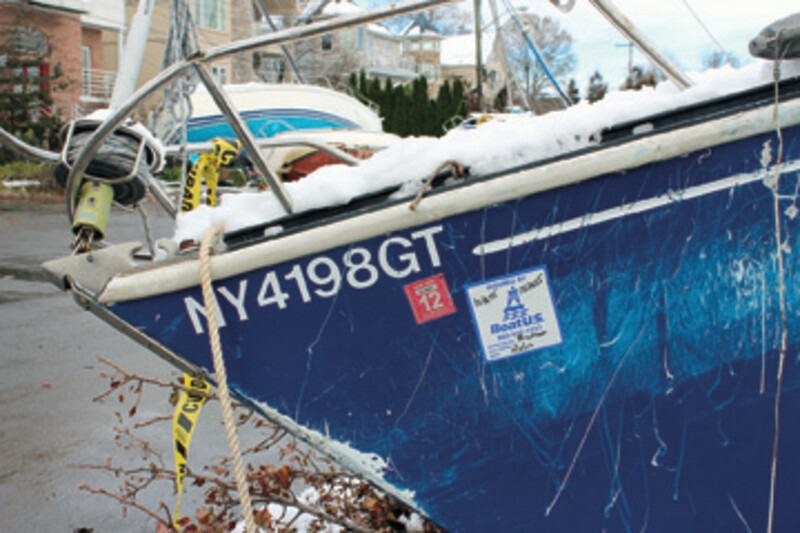 Marinas have done a great job, particularly, of addressing the safety ground wiring problem, but boaters have also got to understand that they need to address the problem on the boat. Q: Can you talk about Seaworthy magazine and how it benefits members? I can’t see it. Whereas with Seaworthy, there’s something alluring about learning from what goes wrong on boats. It has a really strong following, which I thank Bob Adriance for creating. It’s a quarterly publication, and it’s based largely on what we see through insurance claim files. We share that with our readership to help them to figure out what they can do to avoid the problems others have run into. Most of the publications I’ve written for over time, if I wrote an article and got three pieces of mail, I was overjoyed. For the two weeks after Seaworthy goes out I get hundreds of letters on this 16-page publication. It’s wonderful because it’s like a dialog with our readers. It is a bit of a marketing piece for us, but it’s also a way for us to provide information to the general boating community. The electric-shock drowning article had so many requests for reprint that we put it up in a PDF on our website. Certainly from a financial standpoint it makes sense to move Seaworthy to electronic publication entirely, but people do enjoy passing it around. It ends up in yacht clubs, so we’re kind of struggling over whether we can create that kind of feeling electronically, and I’m not sure that we can. We did try to go electronic with it two years ago and we had such a backlash that we went back to print. Q: BoatUS probably has a unique perspective on the frequency of natural disasters. Can you speak to whether you are seeing a quantitative increase in disasters over the past five or so years, or does it just seem more frequent as a result of increasing population along coastlines and higher property values? A: We get into this discussion frequently, and the numbers speak for themselves in my mind. Yes, there are factors in there that there are more people and more money involved, but I think it’s hard to argue that there aren’t more disaster events happening. When you look at snowfall in the winters between 2009 and 2011, it’s really unprecedented. In February of 2010, 49 out of 50 states had snow on the ground. Hawaii was the only exception. That was a first. Between Feb. 6 and Feb. 12 of 2010, there were 1,180 snowfall records set all across the country. BoatUS has seen a huge change — catastrophe teams used to be used strictly for hurricanes, but we have deployed catastrophe teams now for snowstorms, tornadoes and even for the derecho (a series of severe thunderstorms) we discussed sending a catastrophe team. We ended up not doing that, but so many states were affected in such a big way and we hadn’t seen that kind of effect from a series of thunderstorms. Or if we have it’s far enough back in the annals of history that it’s not a weather event that’s clearly recorded. In 2011 there were 1,692 tornadoes, which is the second-highest total since recordkeeping began in about 1950. On March 23, 319 tornadoes struck across the Midwest in a single day. That was a new record. This year we had the tornado in Moore, Okla., that was absolutely devastating. You can see tornado seasons actually listed on a chart of the 16 costliest disasters and they’re tornado seasons that have happened in the last five or six years. The bottom line is that we do see a huge number of weather-related events, and while part of the devastation from those does come from more population existing in areas like coastal regions, which seem particularly prone to these things, the absolute magnitude of these things is beyond anything we’ve seen before. Q: How does the increase in natural disasters affect insurance premiums and coverage in general? A: There tends to be a bit of a misperception that something like Sandy affects everybody’s rates. That’s not strictly speaking true. If you live in the Northeast, where you had Hurricane Irene the year before and then Sandy, that certainly affects rates. 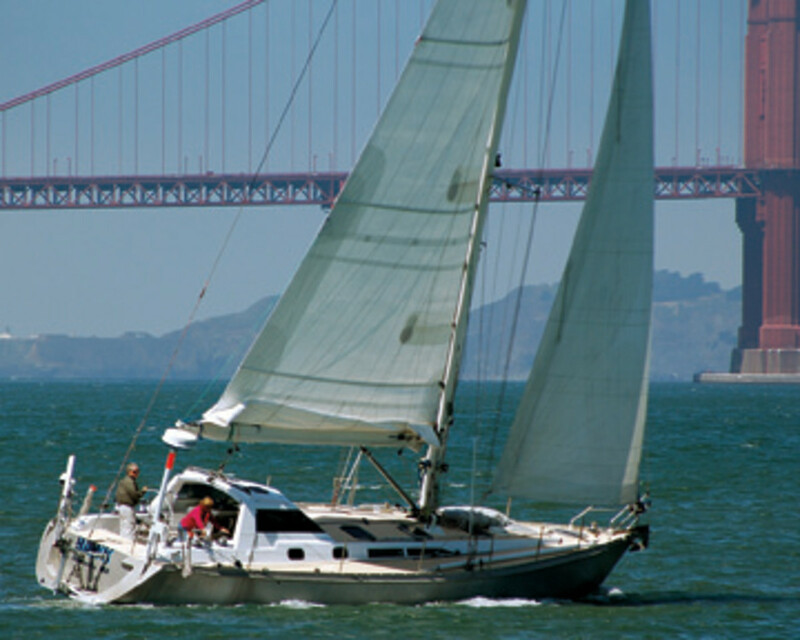 But we do evaluate rates specifically to the risks in that area, and also specifically to the types of boats you own. Boats are simply more expensive than they used to be, and that greatly affects the premiums we charge. All of those trends greatly affect pricing. At the same time, the one approach that some companies try to take is to cut coverage. Everybody has to make their own decisions about coverage. They’ve got to make their own decisions about the risks that they’re taking, the financial liability they assume, about what types of coverage make sense for their types of boating in their specific area. What we’re trying to a better job of doing is to help people understand what options exist and how to make those decisions and create more tailored programs that address the specific needs of a specific boater. For instance, we have our angler program that’s really focused on fishermen and have specific coverage in case your gear is stolen because fishing gear is often more expensive than other things that are stolen off boats. I think you will see a group of companies that will compete on price, and they’ll do that by reducing what they’re covering and how they’re covering it. And then there’s a group of companies, particularly the specialty line companies, that are going to try to tailor programs that best match what a specific customer needs and price it for what a specific customer needs and help the customer understand the liabilities they assume if they choose not to have certain coverage. A: I would say I’m very excited. It feels like a difficult time in the industry right now. We’re coming out of a really big, deep recession in an industry that’s used to going up and down. I think we’re really at the beginning of what could be a golden period for boating, and being involved with it all is really exciting.